I release my free Disney World crowd calendar for each month approximately 195 days in advance of each month. On each calendar you’ll find park hours, crowd levels, Extra Magic Hours, weather, special entertainment offerings, best park / worst park, special events as well as dining and Fastpass+ booking windows! Are these the actual Disney World park hours? These are the actual park hours. They come directly from a Disney source. They are updated regularly. Disney World typically updates their park hours mid-month, but updates can happen at any time and I post updates when these occur. How do I come up with my Disney World Crowd Calendar? I base my crowd calendar upon a variety of factors. The factors include Disney price seasons for the resorts, wait time expectations, local resort bookings, and actual theme park projections for attendance. How do I pick the best park for my dates? Each park is ranked by red, yellow or green. This equals my worst park, median park, and best park to visit for the day. Pick a green day and a green park for the very best Disney World experience. What are Extra Magic Hours? Extra Magic Hours (EMH) are a benefit to Disney Hotel guests as well as Shades of Green, Swan and Dolphin Resort or Disney Springs Hotel. Each day a theme park is open one hour early or stays open two hours late just for guests of these resorts. During extremely busy seasons, more than one park offers Extra Magic Hours to these guests. Can a guest that is staying offsite participate in Extra Magic Hours. No and Yes. What does that mean? Guests are required to tap their MagicBand to prove they are staying at a Walt Disney World hotel, Shades of Green, Swan and Dolphin Resort or Disney Springs hotel in order to enter the park for MORNING Extra Magic Hours. The MagicBand is checked at the main entrance to a park for MORNING EMH. Once a guest enters the park for MORNING EMH, they aren’t required to prove they are a resort guest. However, EVENING guests are only required to tap their MagicBand at the attractions when they wish to ride. An offsite guest could wander the park and take photos of the exteriors without being harassed, but can’t ride, eat or shop. Should I use Extra Magic Hours? Morning Extra Magic Hours are a great benefit for Disney World guests until around noon when the park will be about 30 to 70% more crowded than a regular day. With a good touring plan, you will do most of the things you would enjoy during morning Extra Magic Hours. Evening Magic Hours are only recommended at Magic Kingdom. When does Disney Transportation begin running each morning? Typically Disney buses are available to all Disney Hotel guests beginning 45-60 minutes before park opening. There is a dining bus that runs earlier for those with breakfast dining reservations at other Disney hotels or theme parks that offer breakfast prior to park opening. If you are viewing on a desktop/laptop, you will see a week at a time with all the full details. It is printable. If you are on mobile, it will show in mobile format that will stream down the page. I know you recommend to avoid parks that have EMH for the mornings. When Magic Kingdom has EMH for the evenings, does it have an effect on rope drop or up until lunch? Hi Kenny. I’m making my ADR’s soon and was wondering when your 2019 October calendar will be out. Kenny, now that Star Wars land has been announced (or at least the first phase) I am anxiously waiting to see the revised September crowd calendar. My dining window is in a few days and I rely on your crowd calendar because it’s the best. I can’t wait to see the revised version. Thank you. Thank you. We are going to parks Sept 14-21. I planned to go to HS on the 14th and 21st because HS is considered “best”. I am now very uneasy about HS on a Saturday with the opening of Star Wars. Is it a better idea to focus on the week days that HS is considered “Best”. We want to eat at Sci Fi and 50’s and ride Rockin Roller coaster, Tower of Terror and Toystory Mania and see Indiana Jones and Beauty and the Beast but anything else is gravy and if it’s crowded we would probably leave rather than do anything else. We were hoping to spend 2 mornings at HS eat lunch at 50’s and Sci fi and then hop to another park. Does that sound realistic considering the increased crowds? Were you expecting an early opening? I noticed you had the first 2 weeks higher than normal. Or was this just due to free dining and reservations? Was just in WDW this past weekend, Thursday to Sunday. It was very crowded, the worst I have ever seen and I have gone first week in August. It seemed like a lot of groups from south america. Is this normal, did i miss something? I went this week as it should have not been that crowded. Worried if there will never be any slow time anymore to go. Doesn’t seem worth it to get AP’s if there is no slow time to go. Hi! What is your estimate for Star Wars land in 2019 at WDW? Trip planned second week of Nov 2019 and hoping to avoid the crowds from new Star Wars…not sure what late fall means Disney…would they really open it up to everyone at holiday time? Or would they do special small ticketed soft openings? Thanks so much! When does the August 2019 crowd calendar come out? I know it is early, but I am excited and want to know recommendations on where to go before the 180 dinner reservation date. Kenny, we will be at the Parks on Feb 17th and Feb 18th. We know its Presidents day week, but are the crowds insanely big or are they manageable, there not like holidays, spring break, or summer crazy are they? Kenny we are planning to come Sunday January 13th on marathon weekend. Which park would u suggest we do that day? Hi Kenny – We are planning to visit WDW either the last week in April, or first full week in May. In the past, May typically was always tagged as lighter crowds, but for 2019, it looks like last week of April is lighter. Is that right? What week would you suggest to go? If you were going to pick one week for lowest crowds and best weather, which week would you recommend? Kenny~ We have Fort Wilderness reservations for Disney Dec. 9th-14th. I had originally intended to do Mickey’s Very Merry Christmas party on Sunday the 9th because we are FL resident weekday passholders and it made sense to go on a day we otherwise could not. But I noticed that Sunday is one of the only Sundays that Disney is not offering a passholder discount for. I am not worried about the discount so much as this being an indicator of higher than normal party crowds for a Sunday. Do you know why this might be and would you recommend attending the party on Tues, the 11th instead if my main goal is to go on a day with the least amount of crowds? Kenny, I totally appreciate and understand this logic. However, with young kids, they take our plan and stomp on it, will let up in a ball, spit on it, and throw it out into the ocean. Therefore some of us have to rely on date. The Universal Crowd Calendar predicts a Green day on Thanksgiving, 11/22/2018. Would this really be a good day to go? I haven’t built my Crowd calendar for November for Universal yet. Disney has not announced the opening dates for Star Wars land yet. It could occur late fall to early Winter or even into 2020, if construction delays occur. Pick the week you like the best and adapt as needed. Star Wars land will increase crowds in Hollywood Studios, but isn’t going to make WDW an overall madhouse. Holiday travel periods will cause that. 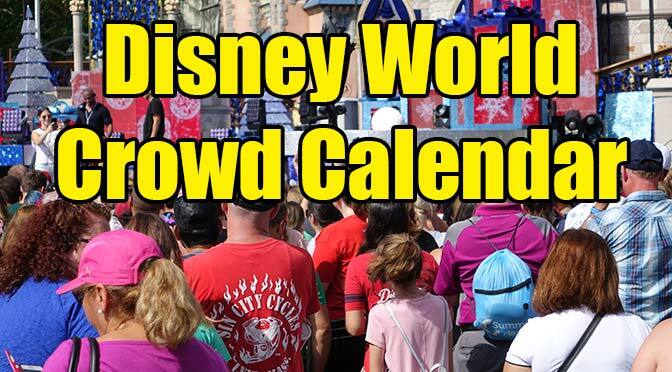 Do you have crowd calendars for Disneyland and Californian Adventures? They are part of http://www.characterlocator.com but are only listed a few weeks in advance. We are planning on going to Disney & Universal in September of 2020 or 2021…What year do you think will be a better year to go? Thinking 2020 may be less crowded due to 50th Anniversary. Do you think it is worth waiting til 2021 though? What way can one enter without. Typically we stay on property but we are having a big family reunion and it just wasn’t reasonable to stay on property. We would have had nowhere to eat Thanksgiving dinner. You can’t use Extra Magic Hours when staying off site. Hey Kenny–when do you think you’ll have the March calendar up? Hi Kenny, when do you expect to have the Disneyland November Calendar available? Disneyland runs 4-6 weeks out. They don’t provide park hours far in advance. Hi Kenny! I have a trip Jan 29- Feb 2, 2019. I have subscribed to character locator but can still only see the January dates. Do you know when Feb 1-2 will be on your crowd calendar? Islands of adventure. I only see that universal studios is listed. Are the busy days similar for both parks? Or does one seem to be “quieter” than the other? Thanks. This is our last day in the parks and most likely just planning on hitting highlights/top favorite rides and snacks. Think it’s still doable? We’re open-to-close type people regardless. That day in the MK will be equal to visiting during Spring Break, thus the AVOID tag. You can still do a lot with my plans and Fastpass suggestions, but just know what you’re getting into. Btw, I’m the only Orlando based Crowd Calendar available. This will be our 6th trip, but only the second one using CL; it was so very helpful last year! This December, however, we will not have Park Hoppers; this is a budget trip. I want to clarify: does the park color always trump the crowd color? As in, will a green park on a red crowd day be better than a yellow or red park on a yellow day? Or are there caveats? I’m not sure how to compare when planning when all days are either yellow or red crowds. (Note: We do use the EMM as you suggest.) Thank you! The main thing is to not visit Magic Kingdom on avoid days. I choose to avoid the red parks, regardless of crowd level. Thank you. It’s just so hard when you love MK at night, but the only long day (i.e. non-party day) there during your trip is an avoid day! I think I’ve read, though, where you say a 9 hour green day is much better than a 14 hour red day, regardless of how the brain may balk at that math. Hi Kenny- if you had to choose between the last week in March 2019 and the dates of April 6-13 in 2019, which would you predict to be less crowded? My crowd calendars are developed 6.5 months out. I don’t predict that far in advance. When will the emh and park info be out for feb 3-9th 2019? Should have February done by this evening. Hey Kenny! Will the feb 2019 be posted today? Hi Kenny. I just subscribed and I love the info! We have a trip dec 8-15 at WDW. We usually base which park we pick on the extra magic hours. We like to park hop one park in the morning and switch after lunch. Your crowd calendar has the parks with extra magic hours in the red. Do you think we should go to those right in the morning at 8am then switch parks or do you recommend avoiding the parks with extra magic hours. Thanks, keep up the great work! I found it odd. I have us going to DHS on 11/4 so I would prefer the EMH on that day. I guess we will have to wait and see. Thank you for your time! I can see them since my vacation extends to November 11. November 5 has DHS AM EMH. Disney is currently posting both AK and DHS for EMH that day. Not sure if it is an error on their side, but I’ll add it to mine to match for now. The Disney site has DHS AM EMH on 11/5 and not 11/4. Should we go by your calendar or Disney’s? Will you be updating your calendar to reflect the change? Thank you! Disney site doesn’t have park hours for November 5.
is hollywood studios not offering fantasmic at the end of november? Staying OFF site for the first time. Can we get in for MORNING EMH? Don’t we scan our MB as we enter? We won’t be able to get IN early will we??? Kenny I was looking at the November calendar and was wondering what makes a red day an AVOID day? I thought it looked like a good week too based on 2017 crowd calendar. Hmm…. Anxiously awaiting the 2018 one. We are going Nov 10-15! I think the weekend will be busy because of Veterans Day, but from what I’ve researched I think the week says should be fairly low crowds! I’ll create the November calendar soon, but it will not be fairly low crowds. Whomever posted that is incorrect. Hi Kenny! I have a WDW trip planned for Nov 7th- 13th 2018. I’m seriously considering moving my reservations to the 11th-17th. After reading about MVMCP which starts the 8th and is every Mon, Tues, Thurs, and Fri only leaving us Wed or weekends to go to MK if we want to see the fireworks and not pay for MVMCP. And since we fly in on Wed and leave Tues that means we have to go on a weekend. Which also happens to be the same weekend as RunDisney, Jersey week, and I think the wine and food festival is also still going on. I do plan to go to MK twice, so I was going to take advantage of the low crowds during MVMCP and just go during the day for one of my days. But I also want to go to MK one night to see the fireworks without having to pay for MVMCP. So what do you think about the 11th-17th? It’s the week before Thanksgiving. Do you think it will be crazy busy with early holiday vacationers? Should I just stick with the 7th-13th and do MK on Saturday or Sunday? Is Once Upon a Time still being offered at the Magic Kingdom? If so is it before Happily Ever After or after? Depends upon your date. I’ve updated my crowd calendar through May 5 with that show. After that time, Disney has not yet released show times. Hi, just wanted to let you know, the first week of october is messed up. the 1st is a monday not a sunday. Are the park hours altered by the mistake in day layout? I just paid $10 to see Nov 2018 crowd calendar and it’s not up, when will it be? Im a little annoyed. It is stated on the November crowd calendar that calendar releases in April. I can’t release park hours that don’t yet exist. When will the crowd Calendars for January 2019 be posted? Thanks! Thanks for your great information. So it looks like they have extended hours over the last week of March-April but not (or not as much) on the Saturday and Sunday of Easter weekend. Should I use this as a sign that they are not expecting crowds to be as big at Magic Kingdom on the Saturday and Sunday? Thinking of flipping from MK29/AK01 to AK29/MK01. OH to have a crystal ball! Any initials thoughts? I know all of you experts that put in such great work say a good touring plan is th emits important but still worth asking. Hi, I am wondering if during the last week of a March, where it is likely they will add/adjust operating hours, do they simply change the opening hours or is it only extra magic hours? We are staying off site so it makes a significant difference when trying to get there early. During heavy Spring Break season they may add additional Early Extra Magic hour, usually at Magic Kingdom and several parks may extend park hours. That would normally occur mid-month, but hard to predict. I’m having same problem. Trying to get calendar for first week of June. You are on the regular links page. Click June, then click on the week you are looking for. 2. Scroll down to your dates and click on them. You will not be able to ride on either if you go during emm. Those guests buy those tickets to ride on those rides from 7:45 until park opening at 9. You might be able to get on after 9. Thanks! so they will not keep us from going through the turnstiles and boarding the monorail. Inhave an ADR for breakfast at 8:00 for BOG – both on an EMH and an EMM morning (I am not a resort guest so I can’t use EMH – and I do not want to purchase EMM) can you please advise which would be the better of the two days to go to BOG? I’m hoping to get a ride on 7DMT and PP before RD. Thanks! Hi – any chance you think they will add EMH in the morning at MK during the week of April 1st? I really love taking advantage of a ‘quiet’ park in the morning. We accomplish so much before hitting the pool in the afternoon those days. Unfortunately, I’m only seeing one early morning on Friday. Thanks for all of the great info you have here. I have a question for you regarding EMH at the MK now that the security check is at the TTC. We are staying offsite and plan on visiting MK on a day of EMH – typically how early can an offsite guest get in the park? Great, so they will not keep us from going through the turnstiles and boarding the monorail. I’m wondering if it would be best to have an ADR for breakfast on that morning to get past the hub? Also, do you have an idea of how crowded the MKgets during EMM during Spring Break? Thanks again! Hi Kenny, Thank you for all this info. We are going in Mid April, have studied your calendar and would like to know if Yellow and Red Park ratings on a Green DAY, are better than a Green Park rating on a Yellow Day? Hi Kenny! I’m new to all of this. We have Aug 7-17 planned and booked. Overall, how are crowds that week? I see what days are in red, green etc BUT my question is…is a red day in August better than a red day say during spring break? Just trying to wrap my head around just how crowded it will be. I haven’t been to Disney since 2000 so I know a lot has changed. Thanks!! Any reason why MK is closing at 6pm on Feb 12th? Your crowd calendars are fantastic! Thanks so much for this service. I have a question about your prediction on March 9. You rate MK as red and the worst park for that day, but I understand that the week of March 4-10 is supposed to be a lot less crowded than the week of March 11-17, as more Spring Breakers will arrive that week. If we are at WDW from March 9-15, would you still advise us to avoid MK on March 9? In other words, even though MK is likely to be the most crowded park on March 9, might that still be the day of our trip when it is the least crowded? Crowd Level is under the date. March 4-8 is Moderate. 9 & 10 is heavy. Friday will be the most crowded day for the Magic Kingdom that week, likely followed by Monday. First off, you are insane in the best possible way. The amount of data you collect and how present you are to everyone is astounding. Second, Valentines Day is a Wednesday, meaning MK is the worst park, but overall you’re looking at light crowds on your calendar. Would that be a decent day to make use of the evening EMH? For the EMH themselves certainly. You’ll find the park busier overall all day than Thursday for example. Thanks! Thank you for the great crowd calendars! I’m working on planning dining for our April trip and noticed that Magic Kingdom is closing at 6pm on 4/17. Is there a special event going on that evening? Thanks for your help! Unknown what it is at this time. Probably Travel Agent event. Tues Jan 16th,is it not Mon the 15th? Ty! I got nervous, we will be there the 16th -23,i had a mini-heart attack! what do you think the odds are that Disney will extend part hours to stay open later than 8pm on Jan 20th? being a Saturday would they ever really close at 8pm?? just trying to get a feel for the day as far as planning dinner. Disney just updated their hours for January 2018 – looks like they have Magic Kingdom closing at 8pm nearly every night including Friday and Saturdays…do you think as it gets closer this will change. We are going to be there Wed. Jan 17th thru the night of the 22nd. 8pm is so early to close on a weekend night. I looked at past hours and I don’t find a Saturday where MK closed at 8pm …hoping this won’t be the case this coming January. I don’t see any updates. My January 2018 Crowd Calendar has had most closings at 8pm for over a month now. Updates won’t come for quite some time. I have all of January and February 2018 listed on here. Click on the August Crowd Calendar and you’ll find the green parks listed for each week. Kenny, the November 26-30 crowd calendar for 2017 shows light crowds, however, we are planning our stay 11/25-12/2 and resort choices are extremely slim! We booked right after the 180 day mark and didn’t have much to choose from, we’re hoping some other resort choices will open up closer to our trip ,but the resorts being so full right now makes me concerned it will be very busy. Any thoughts on this? Is it going to slammed at this time? WDW Resort choices alone are not all it takes to make crowds. There was a discount that week, so onsite rooms have less availability. No, it won’t be slammed. We are thinking of switching our beginning of Dec trip to the first week of March 2018, hoping our soon to be 4yo daughter will hit the 40 inches mark by then. Do you know when you will have next years calendars available? We appreciate all your hard work and knowledge! We value your input and will plan on that! Thanks for all you do! I’m sure you get asked this all the time, but we are having a hard time deciding. In your opinion what do you think is the best idea. Going to a green park all day, or using extra magic hours (AM) and then hopping to a green park? We plan on being there for rope drop/opening regardless of which option we chose. We are going in January during light/moderate crowd days. Thanks for your help! I personally prefer green park all day unless you plan to take hotel break. I apologize if you already answered this, I saw river of light has been added every other night. Any idea if this will change to nightly? Currently scheduled to go to AK on an off night. At least through 2017, ROL seems to be an every other night show(it’s that way at least through September), but do remember it is still in it’s first year. If it is popular enough, I would expect it to be nightly starting next year, but like Kenny said, no way to really predict it. I am offering just a best guess from my observations in planning my own trip. Kenny, thanks for the correction. My trips are September and December, so I knew the later part of the year is every other night. It worked out I get to see it in September but not sure for December yet. Still waiting on a December schedule. My boys (much to my chagrin) are notoriously early risers so we would like to take advantage of the morning EMHs. I notice those parks are always red on the calendar. We have park hopper passes and intended to spend opening to noon in the EMH parks, taking a lunch/nap/swim break at the hotel, then move on to a different park in the afternoon. Would you discourage this idea? Hi, I’m trying to print crowd calendars for December but it keeps cutting Saturday off. I’m printing in landscape mode. Any suggestions? Hey Kenny. Your info for last week at Disney was awesome as usual. I’m hitting universal this week, Tuesday and Wednesday. Any predictions on which park is better to hit on which day? Have the unviversal express pass which comes with our hotel but for stuff like character meets, etc, looking for the better park to hit to Tuesday and the better one to hit Wednesday. Thanks in advance! I think it is a wash on those days, pick the one you like better. Darn. I guess fingers crossed that they all go to check out Pandora then. Thanks! Doing a quick trip 6/8-6/11/17. We are going to EPCOT on Sat, 6/10. Is there a specific reason it’s the worst park that day? Ii haven’t found anything in my research. Saturdays are a poor choice for Epcot. Many locals visit. Thanks. I was going to Fastpass at Epcot and then try to get a few in MK for early in the evening. Have a solo trip coming up in May or June of 2017. On a heavy day, would it be feasible to do Epcot in the morning and early afternoon, then head over to Magic Kingdom around 5pm to 6pm for Extra Magic Hours? We are thinking dec 12-16 2017 for disney world. We like lower crowds (obviously). I know your calendar doesnt go that far yet but wondering if those are decent dates based on crowds? There is decent airfare from Mexico (where we live) right now and would love to book but want to confirm those dates are ok! Thank you! We were looking at March 2-10, 2018 for our trip. Is this good for low crowds next year? Does Disney ever offer discounts in March? I have heard mixed things about Epcot with little ones. Our little guy will be 5 years old. Should we do Epcot or not? Ok, I just really need an answer and can’t find it anywhere. We’re making a super quick one day trip to MK for my daughter’s 5th birthday. It’s our 3rd trip in the past two years, so we know what we do/don’t want to do, etc. My question is…Sunday/Monday. Is there really that big of a difference? All of the crowd calendars have April 30/May 1 as light crowds. But yours doesn’t recommend Monday. We are currently planning for Monday, but can do either day….I just want to get the most out of this quick trip that I can. Mind explaining this to me? Huge difference. Mine is correct. Hi. The park hours at the moment for Animal Kingdon say 7pm close each night in August, when July is 10am and last year in August was also 10pm. Do you think this will be updated for later closing in August 17, and if so, when? I think the EMH you have listed for MK on 9/6 are incorrect – could you please validate? You say am but assume you mean pm? Hi! I see that on dates 4/24/17 – 5/3/17 most days are predicted to be low crowds. Will that be changing, since it’s after Easter?? I hear that it gets really crowded after Ester/Spring break week. Is it just my phone? The February calandar seems to be missing Feb 26, 27, and 28. When will the June 2017 calendar be out? Did you do away with the graphic that had all the months together and their relative busy-ness color coded? Or am I looking in the wrong spot? I liked it for at-a-glance planning to find the least busy days in every month. Haven’t created one for 2017 yet. You can see everything month by month through May at this time. Hope to have 2017 ready soon. I just found this site. It is pretty informative. It may prove to be very useful. But I have a question. I have a trip in Jan 17 and we are hooking up with relatives. I don’t suppose you know why, on the 23rd, Magic Kingdom closes at 6pm and there are no fireworks? This kind of screws up our plans and need to switch parks for different days, but I thought they had fireworks every night unless lightning and/or severe storms. We have been there with fog so thick you couldn’t see the fireworks at all, yet they shot them off (a waste). Why is the 23rd so different? thanx in advance. A large group reserved the park for the evening. I follow your calendar religiously! Any idea when July 2017 crowds will be updated? Hi we are planning to go march 4 to 11. I based that on other crowd calendars before someone told me yours was the best. Will it be very crowded??? We can switch our dates as we have great flexibility. I want low crowds, not too hot and preferably not during the middle of flu season. Suggestions?? Hi Kenny! Thank you so much for all the fantastic information! We are going to be at WDW Dec 7-14. On Monday the 12th we are planning on HWS and Fantasmic at 7 pm. We are then planning on going to MK for Wishes at 10 pm. Do you think we will have enough time to make it over there and get at least a decent viewing spot? The only other time Wishes is offered while we are there is Saturday and we are doing a non-park day that day. Should the May 2017 calendars be posted soon? Thanks! I see it says May 2016. Should it be 2017? Also the link for week 2 is not working. Thanks for the quick response. Info will be extremely helpful! 1.) Which of those weeks would you recommend? 2.) Would it be better to visit MK on an overall green day when MK is red (11/30, 12/7), or on an overall yellow day when MK is green (11/15, 11/17, 11/18, 12/8). 3.) If we go Nov 29 & 30, the 30th is overall green but MK is red – will the overall green make it tolerable? We are travelling with a toddler and our priority is not to wait in lines. Thank you so much for your awesome website, and for any help you can give me with choosing dates!! Unfortunately the only days my husband can go are 11/17-18 or 11/29-30 … I wish he’d told me that yesterday! ;) The Christmas decorations (although beautiful) aren’t a big deal for me, since we’re going for a birthday, so would you still recommend going 11/29-30, since one of those days MK is red? Or would 11/17-18 be better? Can I ask a question to clarify your statement? You say morning magic hour parks are good until about noon when they will be more crowded than normal. If the extra time is from 8-9 in the morning, why is the park more crowded late in the day? We are trying to choose park days and I was thinking the early hours (we are early risers) would be helpful. I’m just confused as to why it causes more crowding later. And, there may not be a “reason” – it might just be the way it is. Parks always experience heaviest crowds between 11 and 2. With EMH you are pulling in more onsite guests than parks without it. Where are the 2017 calendars? Only through April 2017 at this time. During EMH at Epcot l, are the characters at their normal locations? Hey Kenny, we are at AK today. Not crowded at all. Thanks for the crowd calendar. You’re the BEST!! hi there, I was trying to find the crowd calendar for universal studios. Do you have one? Kenny – I love your 2016 year at a glance calendar. I’m looking at visiting in March and am wondering how a late Easter this year is going to impact crowds in March with Spring Breaks. Will you be posting a 2017 year at a glance? Thanks for all your info – you rock! I will, I just haven’t completed it yet. kenny I was wondering at what time the pro bowl parade was going to be on 1/28? is it going to replace the 3 pm parade or be an extra one? Looking for April 2017 crowd calendar. Am I missing it, or is it not available yet? Kenny, Does the food and wine festival effect your calendar the opening weekend of the 16th? I was planning on going to Epcot on September 17th, should I try to rearrange my schedule? Traveling with 4 kids and 4 adults. It does some, but a good plan will still win out though. This is a wonderful site. I’m sorry if I missed it somewhere else, but I was wondering how you would compare certain days? For example, is a red park on a light overall day better than a green park on a moderate overall day? Hi Kenny, thank you for this site. Was wondering why Thur 15th Dec is expected to have heavier crowds than the days around it please? The year at a glance calendar you have is great! What a nice overview to look at, and available earlier than the details of that need park hours. When do you usually create one for the next year? I’m scoping out weeks in February/March 2017 and this would be a great help! Kenny do you have these dates yet and I’m not seeing this correctly or are they not out yet? Kenny, o had seen in your November 2015 that 16-20th last year was low crowds. On this new full year 2016 calendar above, you now have the same week for 2016, 14-18th at moderate and high crowds. What changed? Did you just update this with the rumored nov 15-21st FD dates? We planned our trip for the 14th-18th as that was a nice four low crowd window on most crowd calendar sites. Now I am worried crowds will be nite for those four days. Thoughts on the change? Holidays changed. That was never updated since I created it. Thanks. By holidays, do you mean like school holidays? Or do you just mean anytime near holidays (like Thanksgiving) have changed and people are coming longer times before the actual holiday? Just trying to figure out what has changed and if I need to change. 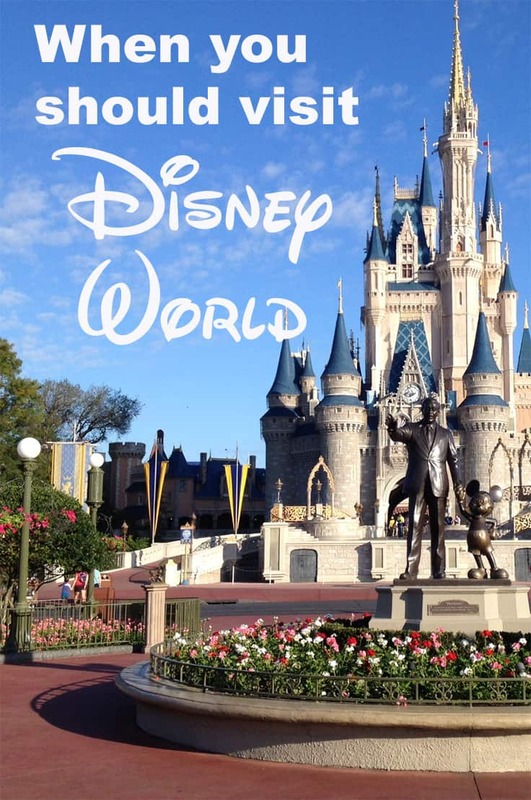 Kenny – for the past few years we have travelled to WDW thee third week of August and the magic kingdom is always open until 11p-12a the latest. This year I see that mk closes at 10p every night except 1 night of emh. Do you know why this has changed or is it likely that they will revise the closing times as the time gets closer? Kenny, do you or would you ever do a YouTube walkthrough? Youtube walkthrough of the Crowd Calendar? You mean to explain it? Sorry, I mean a touring plan of the park! touring plans are included in Character Locator. I could add some demonstration videos over there some time. Kenny, just writing to let you know that your recommendations are spot on! I know these are estimates and not guarantees, but I WISH I had seen your site before my trip this week. I have been to Disney many times, as I live in Fl. I have never planned a trip out. We just show up! I’ve never been good at planning anyway. This year, with twin babies and a preschooler, I decided a little planning was in order to avoid huge crowds. I started planning in November. I followed another site’s advice and took vacation days from April 2-9th and planned MK on Monday, the 4th, because that was the recommended park of the day. Worst Disney experience of my life. It was miserably crowded. And likely due to being packed like sardines, I caught the flu for the first time in my life and passed it to my family before realizing what I had. I have never been more sick. In bed with chills, unable to move, so much pain. Ruined our trip and we had to spend $100s on flu medication, wasted our photopass, wasted our tickets, wasted vacation days, wasted resort costs. I’m so sad watching my babies coughing and vomiting and I can barely care for them. The worst is worrying about serious complications from the flu for my babies and parents, since the flu can be dangerous in the very young and those over 65. And we’ve been looking forward to this week for months. Now I come across your site. You had that week listed as “moderate” and you also advise to never go to MK on a Monday. Good to know! Wish I had seen your site last November! I even went so far as to have my son miss a whole week of Pre-K to avoid the crowds, and MK on Monday the 4th was 10/10 crowds. Now he’ll miss 2 weeks because of the flu. And all for nothing because there was NO benefit in going this week, even if it weren’t for the flu! Next year, when he’s in kindergarten, I’ll be less inclined to pull him out of school for Disney, so I’m pretty bummed, this was my last chance to go on a slow week without pulling kids out of school. I’m writing this testimony in case someone is debating who’s advice to follow. Obviously, it’s no one’s fault that we caught the flu. But I trusted that site and spent a lot of time and money and expectations for our family vacation. There were 10 of us and we had a miserable time Monday, where if we had known your advice, we would have avoided the parks this week altogether and especially MK that Monday. In the future, I’ll follow your advice every time! Wow Allie I am so sorry! I hope you are feeling better now (Sat, April 16th). Thank you for your review. I just found Kenny’s site this week to and his predictions are totally different than every other site I have seen but his prosecutions seem spot on with what really happens in real life according to all the reviews I am reading of the same week last year for the week I am going this year. I am going to trust his word and change my trip accordingly. I hope you can enjoy the last days of your trip! Feel better. Kenny–can you tell me specifically why Nov. 15th is orange and how significantly you expect it to impact crowds? I am debating between Sunday the 13th and Tuesday the 15th for MK. Thank you! We’ve attended during Jersey Week before and never found it too crowded. This year I see it is orange, it that because it is a week later than usual and includes Veteran’s Day? I’m trying to decide if we should hold off till the first week in February 2017 or risk the crowds. Thanks for all your help! We’re staying at Shades of Green and we’ve purchased our own MagicBands, but how will that work for EMH if we have to tap them to get into the parks? Our tickets were purchased via the Disney Armed Forces Salute program. Maybe, when we activate them at the park they’ll be tied to Shades of Green? Thank you…I figured it would be that simple, but I wanted to make sure. Great site btw. Hi, could you tell me why November 15th is in the orange? We’re looking at going to WDW the 13-19th. Wondering if that will be a good week. Thank you! Moderate crowds most of your trip. Orange one day because crowds get higher that day. Sorry if this is duplicate as I cannot find the first one I posted. We are going October 1-7 with our 5 and 9 year old. Can you help us in what 2 days you would suggest we go to MK. We want 2 days at MK, 1 day at the other parks. Then one day lazy morning and just the Halloween Party. Do you have any suggestions on best days for MK? Thank you! October park hours haven’t been released yet. I’ll create a post when October hours are up. Thank you for all the great info on you site. I think we have our schedule figured out but do you mind looking at it? Would you change any of it? 0ct 2 Ak, oct 3 epcot, October 4 lazy morning and Halloween party, oct 5 mk and stay for fireworks, October 6 HS and last day oct 7 mk and be there for open. Is there anything we should change? We are going to be at Disney October 1-7. We are struggling to pick what days would be best to go where. We have a 5 and 9 year old and would like to do 2 days at MK, 1 day at Epcot, 1 day AK, 1 day HS. We are also planning one day to take the morning off and just do the Halloween Party that evening. What would your recommendation be? We don’t know the best way to do MK with the shortened hours on some of the days. Thank you! Wondering if you hear any specifics on the evening hours at Animal Kingdom that are supposed to be starting in April. It’s difficult to make reservations dining and such for our upcoming trip without those details. We have a trip booked for 12/7 – 12/11. We are WDW veterans, but have never been in December. Could you tell me why 12/8 has predicted moderate crowds? Is it a special event? Thank you! So, this changes things for us, as my son wanted to stay at all star sports. Will it be overrun? Maybe we should change resort? I would look at a different resort, if possible. Hi Kenny, this is great. Thank you. I noticed on the crowd calendars for disney that your overall day has a color, but then each park within that day has another color. For instance it could be a green day, but MK could be red. I gather from this it means MK will be the most crowded relatively speaking that day, but that overall (because its a green day) red isnt that bad? I am specifically comparing 4/17 to 4/18 at the magic kingdom. Any advice you can provide to balance out a red park on a green day vs a green park on a red day would be very helpful. We booked our trip already and did not notice the Star wars marathon event. I am trying to figure out if it would be better to go to MK on 4/13/2016 (moderate crowd/MK red) or 4/14/2016 (heavy crowd/MK green)? Why on earth is Disney world so dang busy these last few days? With the freeeezing weather and crowd calendar predictions I am being myself with waiting over an hour for most rides. And you’re following the green parks, arriving early and using my touring plans? Do you have any thoughts on how late april will be since Star Wars weekends are no longer? Is a 2016 best and worst in the works with all the updates? Hi, can you tell me where to locate the 2016 calendars? I only seem to be seeing the 2015…Thank you for all you do!! It’s our first time so I honestly don’t have a plan! I think the day we arrive 5/12 is green. Our flight comes in late morning so I didn’t think it would be a good day to go due to short hours. Any thoughts? Visiting May 13 to 15 and Animal Kingdom days are red. Which day do you suggest?! Thanks in advance. Suggest a green day, but 15th would be slightly better. Arrive early and use fp with a plan and you’ll be fine. Hi Kenny: We are planning everything around light MK crowd days. Better to go on green general crowd day, but red MK day, or better to go on yellow crowd day, but green MK day? May 13 through 15 of 2016 are all red for Animal Kingdom. Which day would you suggest going? January is already posted here. Thanks so much. That might make a difference in our plans. I have a question about crowds. Is there a big difference between a “yellow” and “green” day for a “green” park? An example is that we can either visit animal kingdom when it is “green” during a “yellow” day in the 4th week of October, or go on a “green” day in the 5th week of October. This would also apply to epcot. We will be visiting WDW for 2 days, 10/20/15 and 10/21/15, I think we’ll be visiting MK one day and AK the other. Question is – which park should i visit on Wed, 10/21, since they are both in red? We have a 3 yr. old, so we really just want the shortest lines/low crowds – don’t care too much about events/parades, and we certainly won’t be at the parks late. Thanks for the advice! We are going in late October from the 22nd to the 28th. My question is that we wanted to go to MK on Monday the 26th, and it is in red, but it also says a light crowd day. Do you think we will be okay on that day? We have party ticket for Sunday but know there’s a ton to do and not much time for rides. We were going to do AK in the morning Sunday and party at night. It’s our first time! Arrive before park opening and use FP and you’ll be fine. We are staying for a week in late August at a Disney resort. In the past, we try to take advantage of early entry and go first thing to those parks. Do you think the advantage of Disney guests being allowed an hour early entry is not worth it because of the super-size crowds that will be there the remainder of the day? Thanks! Can we use paper tickets for the 1st few days & then use the magicbands once we get those on our check-in day? Entry tickets are plastic. If attached to your MDE account, yes. Thank you so much for all of your work! We are planning to go this Thanksgiving & the week after but are staying the 1st 5 nights off-site. How do we work the magicbands if we want to go to the parks 4 days before our check-in at Disney? Or do we just use our paper tickets from UT? Also, I am assuming we can’t do 60 day FP+ for those few days either. Any tips or suggestions on how to do this? I do have old magic bands for 3 of us but the other 3 do not have them. Thanks so much!! If your ticket are linked to your MagicBand, you could use them anytime you wish. You must link tickets to get 60 days out FP. You don’t have to have MagicBands to book FP though. thank you. We are considering going the following sunday the 7th. It shows green for Magic Kingdom on that Sunday as well and the park is open full hours. Do you think the park will be just as mild on Sunday the 7th as it may be on may 31st? Hi I was planning a trip to Magic Kingdom on May 31st for my step daughter who flies down on the 24th but I just noticed they are only open until 6pm? (no fireworks/parade) I was trying to go on a not so busy day with the days we had open and now I am not sure what to do. Will Saturday be busy enough to where it will probably better just to go the Sunday and take the short day? Or is Monday a better day (June 1st)? Any advice would help, the 6PM thing threw me off. Arrive before park opening, have a good touring plan (www.characterlocator.com) and use FP+ well and you’ll be fine. What does “turtle day” mean? Hello, I noticed you said for Elsa and Anna to get the FP+ 60 days in advance…we are staying off sight and will have to get it at the 30 day mark…will we have much luck with this…we will be going to MK October 5th?!! Thanks! Kenny, Do you think the Hours in the first week of November will be open later at MK? Hoping for a late night MK. Not sure, but hours change a lot over 6 months, so check back. Each update is usually mid-month. We want to go to Disney World in November, and I was reading your blog about recommended days to visit Magic Kingdom. You mentioned the best days to go are the ones with a Christmas Party because lines would be short. I’m hoping that’s correct, but wouldn’t it be more crowded since people going to the party might be at Magic Kingdom all day? No need to hope. I wouldn’t state it if it wasn’t true. No, it’s the opposite and parties have fewer guests than a light MK day too. Most onsite guests think they will go to EMH, but don’t actually wake up early enough to get dressed, eat, make it to the bus and get to the park in time to actually use it. On the opposite side, many leave before late EMH because they didn’t take a break and the family is exhausted. If you actually arrive early and follow a good plan, you’ll be far ahead of the regular guests. If you don’t you’re really behind. It’s on the bottom of every Crowd Calendar page before you click the links. On the 60 day FPP date, is that at 12 AM midnight ET/11 PM CST when you can start booking? Midnight ET UNLESS the regular park closing is at 1am. In that case it’s 1am Fastpass booking. Dates are clearly marked on the Crowd Calendars. Hi Kenny! I’ve planned our days by your crowd calendar since we moved here in Nov, which I guess is why we are in the same parks on the same days as you a lot :) My question is April 27th, it’s a moderate day and HS is green but when I went to book my FPP 30 days out there are very few times for TSMM and all in the afternoon. We go all the time and have never had a problem getting morning FPP especially 30 days out and even this Friday I could book TSMM for tomorrow morning during this super busy time. Just wondering if there is something going on in the park or if they are testing holding some FPP back for some reason. Thank you! Not necessarily that the park will be extra busy. Could just be that Disney hasn’t released all the FP. Take the ones you can get and fiddle with the times. Kenny! I would like to look at your crowd calendar but I can’t seem to find the link on your site to open it. Thanks. You just clicked on the Crowd Calendar page, now just scroll down and click on the month you want. I just signed up with Touring Plans today and your crowd calendar and there’s is totally different. What should I do? I am visiting for 5 days and over Columbus day weekend! Help! Follow my advice :) I live 10 minutes from the park, visit often and track daily wait times for best choices. I’ve found that several “popular” Disney blogs completely contradict each other for my travel dates (9/15-9/21) on crowd predictions for each park. Good thing I found your blog- you stand out from all the other blogs in my opinion and I’m just going with your crowd calendar. If I hadn’t found your blog, I’d be so stressed about who else’s calendar to believe. Thanks for all you do! Thanks Becca. I know you’ll have an awesome time here in Orlando! Hi, Kenny. The December calendar says characterpalooza will be on the 22nd & 23rd? Is that correct? Thank you. Unknown if it will occur on the other days. Basic rule is first palooza is about 4.5 hours before, so you could try that on the other days and see if they show. When will the calendar be up for May? We are going the 12th. Why is every calendar except April available to view? How bad is the week after Christmas really? I have searched for character meals from Sept – December and the only time I am able to get everything I want is 12/27 – 12/31 but I am so nervous because every site says to avoid Disney during this time. Insanity crowd wise. It’s the busiest time of the year. You’ll need to arrive early, follow my park suggestions and use a touring plan to enjoy yourself. Do you have historical crowd calendars? We’re considering going for a week in April, but a lot of other sites have conflicting info on how busy it is or is not. I checked here first, but couldn’t find anything on April. It really depends on what week in April you are going. The two weeks around Easter are always the worst but April in general is a busy time. Kenny, you might want to check your calculations for the 180 ADR, 60 day FPP and 30 day FPP. Looks like you have a date math error going on. You have the dates in the FUTURE instead of the past. Huh? It’s supposed to be in the future. You book in April for May FP for example. Why would I put it in the past? I thought it was telling you when you are able to book these days. Like look up your trip dates in the calendars and see when you can start booking dining or Fpp for your trip. My mistake I guess. So you think I should have produced it in reverse? Interesting idea. I’ve taken your suggestion and changed the format of the 180/60/30 days out for all the crowd calendars. They now reflect those days in reverse of the date on the calendar.